When Bojesen initially released Oialla, at 70%, based on seeds from the rainforest around Baures in the Rio Bení valley of Bolivia, it boasted "Criollo" all over its packaging because some locals there said it was. 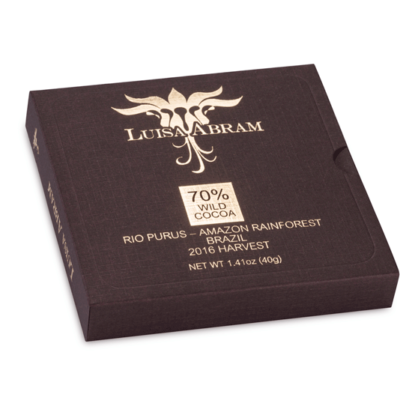 Criollo is both a varietal of cacao originally domesticated by Mesoamericans that earned it renown & a Spanish word meaning "native" or "indigenous". Just the sound of it -- krē-ˈōl-yō -- brings magic-music to chocolate-enthusiasts' ears due to its rarity & flavorful reputation. 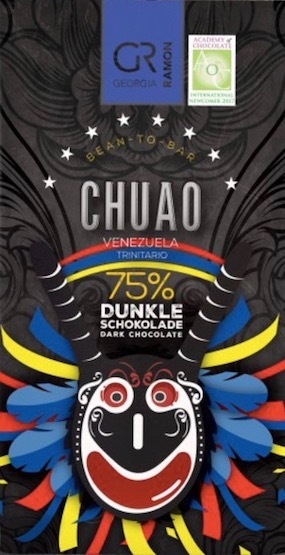 Indeed, many chocolates these days claim to be Criollo - much more than the amount actually produced -- in order to leverage the obvious marketing advantage. Along the way Bojesen discovered that this particular "Criollo" in Bolivia was unique from other Criollos grown around the world. Once brought to its attention by the C-spot® that this so-called "Criollo" was not that Criollo, Bojesen did something almost unheard of in this industry that trades rampantly in cocoa myth-information campaigns: instead of sticking-to-its-guns & digging-in-its-heels, the label collected leaf samples of wild-harvested cacáo, a first, from the islas or bas-relief landmasses in the Rio Bení. the C-spot® then facilitated their transfer to the USDA Beltsville genetics lab for DNA testing. 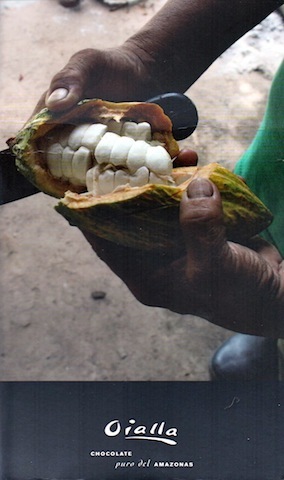 The results: cacáo from Bolivia used in this Oialla bar forms its own sub-cluster in sync with geneticist Dr. Juan Carlos Motamayor's re-classification of the Theobroma cacáo species. 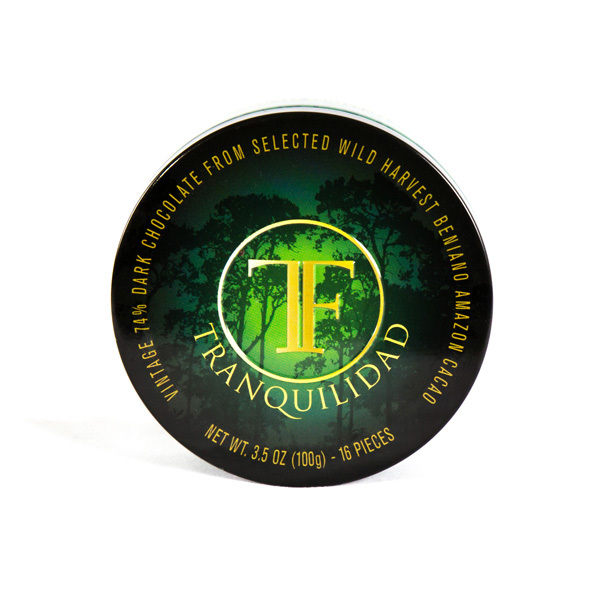 A unique varietal called Beniano, it is an indigenous, wild, & rare cacao. Immediately upon hearing the news, Bojesen committed another even more remarkable act: in an about-face, the company manned-up to the facts in embracing the truth & sent out a press release. 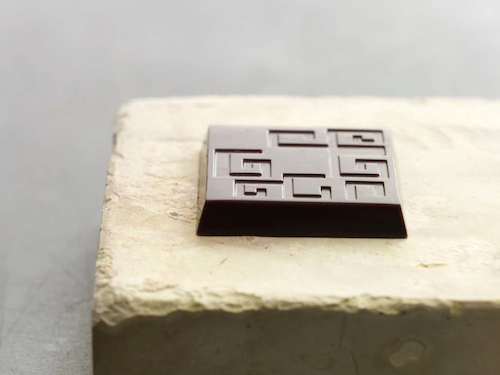 It changed the packaging & information surrounding Oialla, replacing 'Criollo' with 'Beniano' to reflect the genuine character & provenance of this singular chocolate which is equally alluring in its own right. A breath of fresh air & perhaps a harbinger of more to come. For if chocolate wants to be taken seriously & command commensurate pricing, it needs to get serious. That starts with custodial care of its root genetic materials. "Beni", in the parlance of the C-spot®, refers to Beniano cacáo from the Rio Bení valley of Bolivia as well as 'benign'. Clean; virtually bitter-free & void of stringency. What traces of either do exist beautifully meld into the substrate of flavor. Brooks few comparisons but to itself, viz., its own sibling -- Oialla 70%. This bar broadens & spans out from the narrower streamlined character of its little sib. Nicely rounded & balanced across the spectrum with core chocolate stamina right down thru the middle (though the entire overall length runs somewhat brief, the lone shortcoming to an otherwise supreme chocolate). Additionally, it comports much finer Texture in a bit of a rarity for the origin -- generally smooth, almost soft -- to the envy of other Benianos from this origin. After a couple challenging years, Bosejen now has had a special privilege to get to know the rainforest, the people living there, & the cacao around the town of Baures. It helped advance the quality of the post-harvest (fermentation / drying) & the processing (roasting, conching, etc.) to produce, arguably, one of the chocolate treasures in the world. A bold foray into the upper percentages of cacáo-weight that demonstrates Beniano has poise to handily contain this threshold. Can 80%+ be far behind?